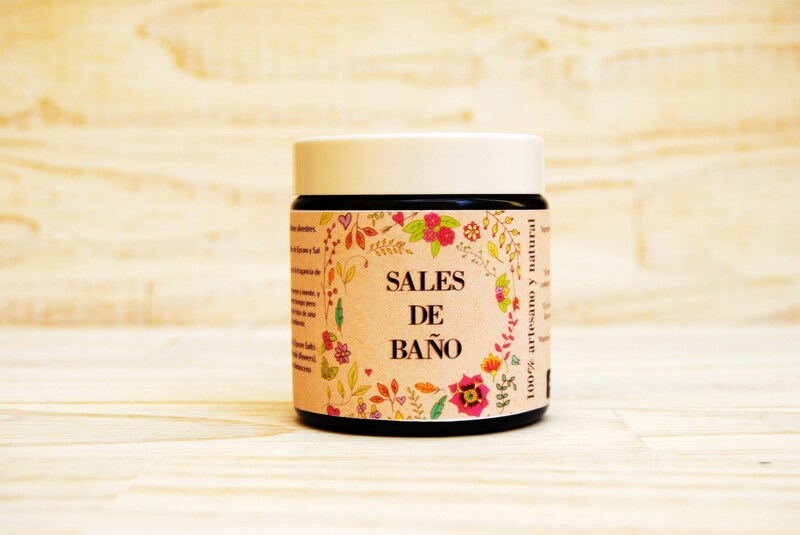 With our bath salts you can enjoy a moment with yourself of peace and harmony, either by giving you a full bath or small foot baths if you don't have a lot of time or you want to do it in a more sustainable way with the environment. 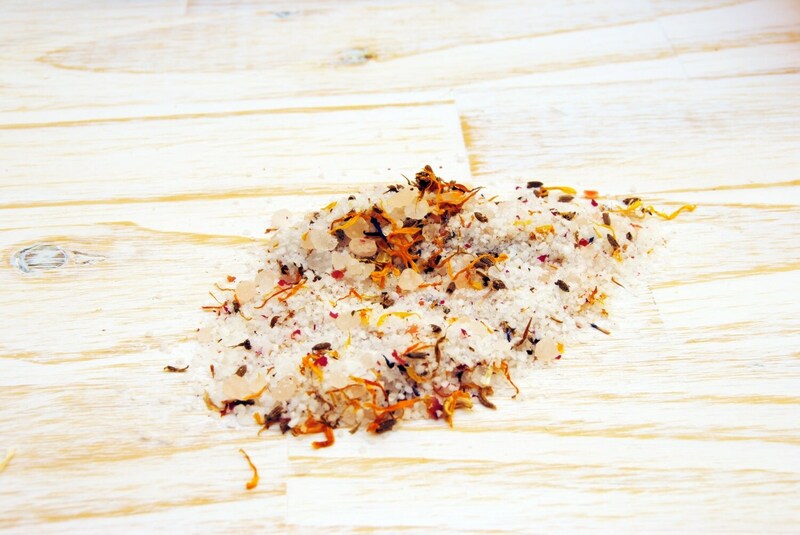 Our bath salts are made with 100% natural and vegan ingredients. 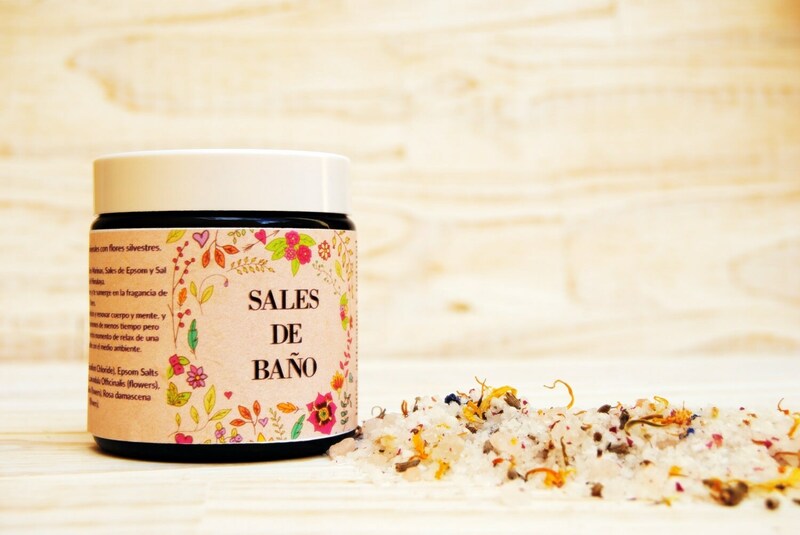 Sea salt, Epsom salt and rose Himalayan Salt accompanied by marigold flowers, roses, lavender and cornflower to relax muscle aches, detoxify and care for skin and mind, with an irresistible floral aroma. Packed in amber glass jar of 100 gr to preserve all its properties for longer, and giving a special, elegant and unique touch to your gift. Do you want to give them as a detail to your guests at your wedding, communion or baptism? You can see the options we offer for events in the following links! Contact us to resolve any questions that arise or if you want to make any modifications to the product, we are open to changes and personalize each product according to your tastes or needs.